California needs a healthy and robust network of Resource Conservation Districts (RCDs) if it hopes to achieve its conservation goals. Our Capacity Building Program is helping to build an enhanced network of RCDs and strives to ensure that they are supported by a strategic, strong, and highly-regarded statewide association. 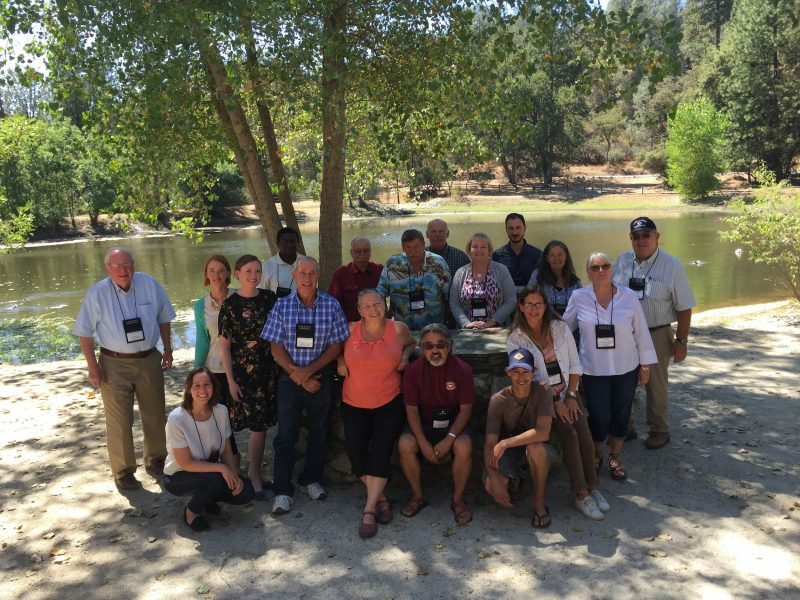 For the past several years, the California Association of Resource Conservation Districts (CARCD) has been working with our partners on a highly successful Capacity Building Program. This Program encourages the sustainable growth of RCDs, provides their staff and leadership with relevant trainings, establishes durable regional collaborations, and builds a strong statewide network of support and shared resources. The Program has also helped to elevate the visibility of RCDs amongst funders and decision makers in order to strengthen partnerships and secure new opportunities. This effort has significantly enhanced the ability of many RCDs throughout the state to get critical work done and is an ongoing effort of CARCD and our funders. CARCD has been successful in raising over $19 million in support for RCD work, and continues to expand and secure new funding opportunities for RCDs through state and federal grants, contracts with state agencies, private foundations, and other sources. To ensure that every resident has access to the critically important services that RCDs provide, CARCD has been working with with Local Area Formation Commissions (LAFCOs) throughout the state to identify opportunities for district improvement and transparency, including consolidation of districts when and where appropriate. CARCD is also providing institutional and funding support for seven durable RCD collaborations throughout the state, which will enable the RCDs to work regionally and to reach previously underserved communities. In our work to strengthen a robust statewide network with regional collaboratives, opportunities are already surfacing for RCDs to share resources including staff, funding, tools, experts, and connections to promote better and more efficient conservation at a regional scale. We expect and are already beginning to see collaboration along the full spectrum: from mentoring and knowledge-sharing to joint projects to RCD consolidations. Regional approaches to collaboration and sharing resources will support watershed-wide and landscape-scale projects. CARCD supports RCDs by assisting with project and program development, resource sharing, providing technical assistance and contracting support, exploring new funding opportunities, coordinating with local LAFCOs, building statewide partnerships and visibility, and supporting other district needs as they arise. With generous funding and support from multiple foundations, the legislature, non-profit partners, and state and federal partners, the RCD network continues to work toward the vision and goals we have set out to achieve.